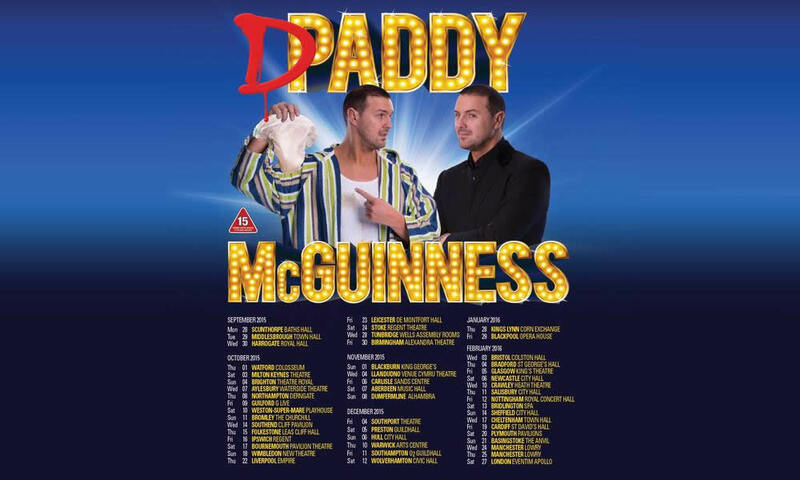 One of the UK's best-loved and most popular comedians Paddy McGuinness has announced a brand new UK tour for 2015 & 2016. Starting in September this year, the star of ITV’s Take Me Out will return to his performing roots, with his first stand-up comedy tour since 2011. Tickets will go on-sale from Friday 30 January at 10am. After numerous sell out tours and best-selling DVDs, Paddy’s long awaited return to stand-up will see him perform 50 dates across the UK with another hotly anticipated show, Daddy McGuinness. I’m really looking forward to being back on tour – I’ve missed it. I’ve got a great new show planned – Daddy McGuinness. Amongst many other things, I’ll be sharing several stories about becoming a first time Dad & parenthood. Roll on September! Tickets to Paddy's tour start at £17.50 and are available from gigsandtours.com or 0844 811 0051 from 10am tomorrow, January 30.